Ben is at work. Myles is at school. Jillian is napping. The laundry and cleaning (at least what I am willing to do today) is done. I have worked plenty (with teleconferences and emails...on my day off). It's just me. And then...there is YOU. And - I love to come and visit my friends in this little corner of the internet. So, I sit here with a bag of chocolate chips (that I know I should not eat) and I write. It is these quiet moments that my fingers can fly across the keyboard. I love my tiny boy to pieces. I so want him to do well. I'm proud of him. I'm not ready to hear anything negative about my little man, who has recently and adorably started to want to have his hair spiked in a way that only Daddy can do. I have no reason to think she would have anything negative to say, but I worry nevertheless. I know parents all over this country go to conferences and hear the good and the bad about their child's social and academic abilities. We need to hear it to help them grow and succeed. It is just my over-the-top, type A, need to please personality that is craving for everything to go well. To prove...what...we are good parents?? Who the heck knows. That is what the flow of thought looks like on a daily basis in my head. Probably should just keep them there, huh? I'm sure we will make it through this evening's events just fine. We have a two-hour interval between the kids' conferences, so I could always go drink after the first one to prepare me for Jillian's. Just kidding. Oh - this is her first conference ever. Guess I need to start worrying about that too, huh?!? I'll keep my eye on the prize. I have a very important date this weekend. The Mother-Son Dance. We will be going out to dinner and then dancing the night away at the high school. I can't wait. Oh - and I have something awesome to share with you tomorrow! I can't wait! Be sure to check back and see the big news! I am super excited to announce my next giveaway! 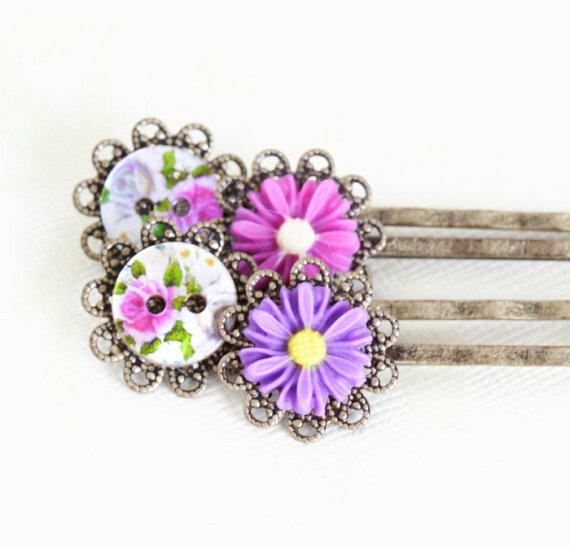 This time, I am featuring Jane from Jacaranda Designs. 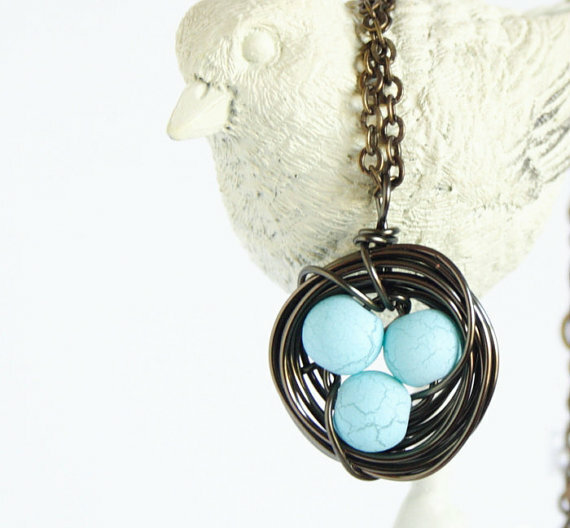 Jane makes her gorgeous jewelry in her home studio. 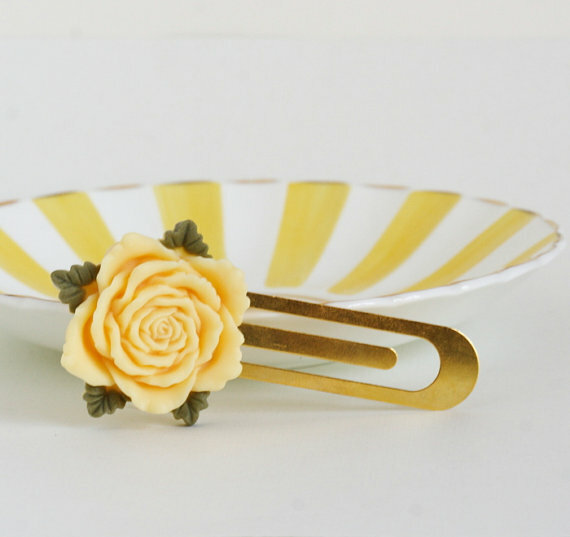 She started making jewelry six years ago and it is her passion, which is obvious when you visit her Etsy shop. These adorable hair pins would look amazing in Jillian's ringlets. I love this bird's nest necklace. Someone tell Ben that there are THREE eggs in the nest. How could I pass up this adorable yellow bookmark. Yellow + floral + books = Amazingly perfect for me. 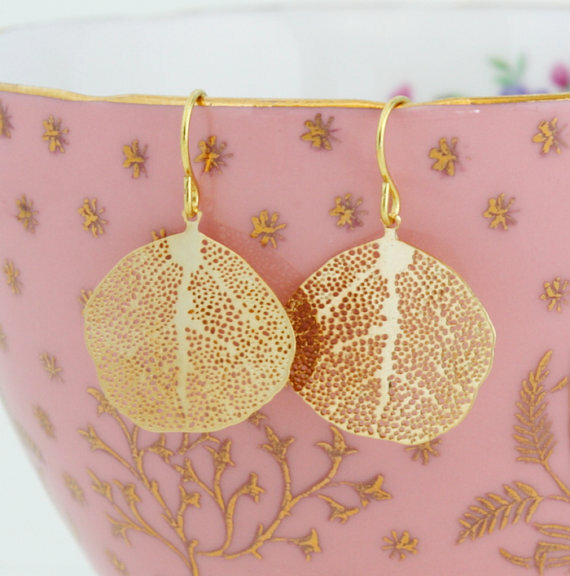 Last, but CERTAINLY not least, I love these delicate gold leaf earrings. One lucky follower of mine will win them! Boxed and delivered right to the winner's doorstep! 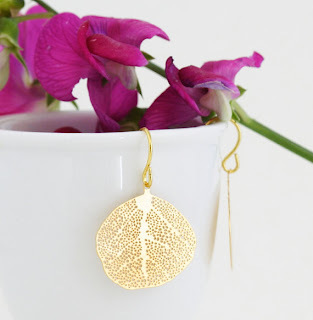 These delightful, simple gold leaf earrings are lightweight and versatile. The little gold plated filigree leaves are so delicate. They are 16K gold plating over brass. The ear wires are gold plated. Length of the earrings is approx. 1 inch. 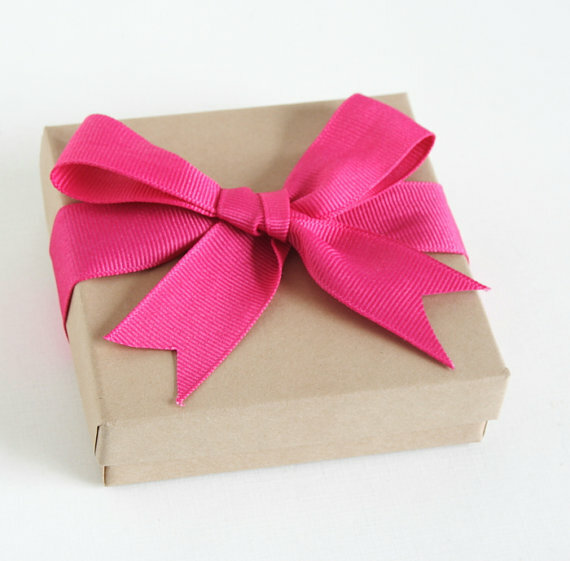 Packaging: The earrings are packaged in a jewelry box, tied with a ribbon, ready for gift giving. To enter, all you need to do is be a follower of my blog and comment below with your favorite item in her store! You can find a link to her shop above in this post, or in the sidebar of my blog. Easy as that! This giveaway will close in one week. Remember, too, that conferences are stressful on the teacher and that they enjoy kiddos like Myles and Jillian....a teachers 'pleasant' conference! I love the Oval Hoop Earrings - Oval Dangle Earrings With Sea Green Bead! And just so you know, we all think that before conferences, lol! We just want the teachers to see how special our kids our like we think they are. It is totally normal as a parent. Hope they went well! I love the coral and pink dangle earrings. So cute and classy. Niki love the updates!